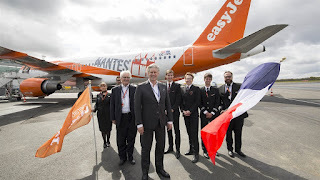 easyJet, the low-cost airline recently celebrated the opening of its 29th base in Europe - Nantes Airport, its seventh base in France. The airline will base three A320 aircraft at the airport and will introduce 14 new routes, more frequencies especially on domestic routes with a 30% increase, and improved schedule with more early departures that would benefit business passengers in Nantes. Johan Lundgren, easyJet CEO commented: “As we celebrate the launch of this new base in Nantes today, we are really proud to continue the airline’s successful expansion in France. Over 20 million passengers fly with us to and from France every year: that’s a quarter of all easyJet passengers which shows how important France is to the airline. This base opening is another significant milestone in France for easyJet, now counting seven bases across the national territory from today. We remain committed to France and we have big plans for the new base as with three A320 based we are aiming to reach the #1 position in Nantes with 25% market shares, flying 1.8 million passengers this year." François Bacchetta, easyJet’s France Director added: "We have built a long term relationship with Nantes and have been working hand in hand with Nantes airport for over 10 years now to build a relevant leisure and business network reflecting our customers’ needs while continuously improving the customer experience. In addition to the signification network enhancement enabled by the base launch easyJet will launch the fast track option in Nantes, A popular service among our business passengers which represent 20% of our passengers in Nantes reflecting the local economic dynamism." Nicolas Notebaert, CEO of VINCI Concessions, President of VINCI Airports said: "easyJet has chosen the Nantes-Atlantique airport as its first base in France’s North West region, and this is excellent news for the airport teams and all the stakeholders. As we have seen in Lisbon, Porto and elsewhere, selection as a base by a leader such as easyJet has a strong positive impact on a region. 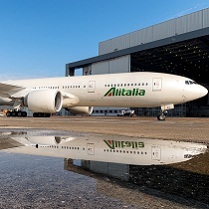 This is in keeping with the action we take at VINCI Airports to make mobility a development driver that creates jobs and enhances the region’s ability to attract tourists by opening new routes."